Our Handicap-Accessible Room with 2 Queen Beds can sleep up to 4 guests comfortably. 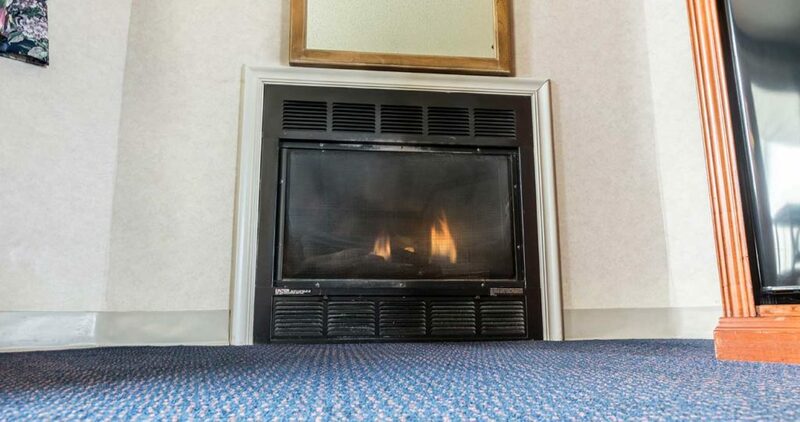 This room has a private balcony overlooking the Pigeon River and a fireplace to keep you warm in the colder months. The room features a double vanity, so guests can get ready for the day at the same time. 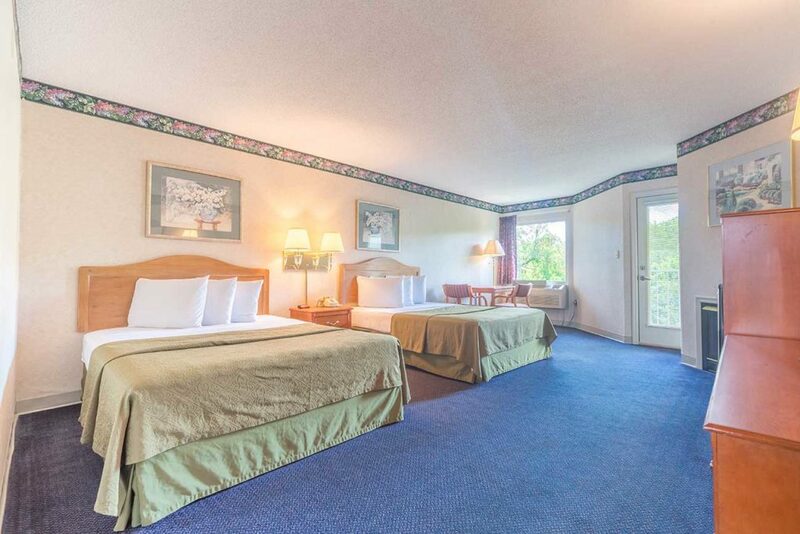 It’s a great room for small families, friends or anyone looking to get away to the Smoky Mountain area for a few days. It’s fully handicap accessible and safety approved. Give us a call or book your reservation online today.